There are high-end PCs and then there are the truly ludicrous configurations that actually come close to the April Fools’ prank that Eurocom tried to play. 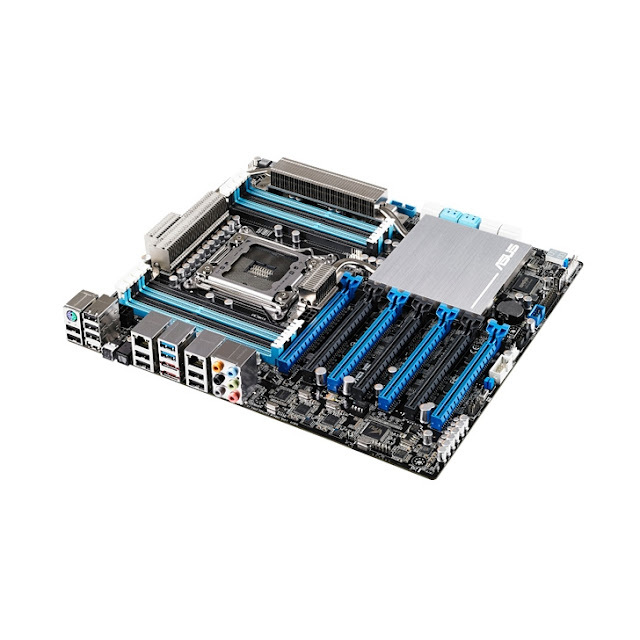 What we have here, though, is a motherboard for desktops, not a laptop. 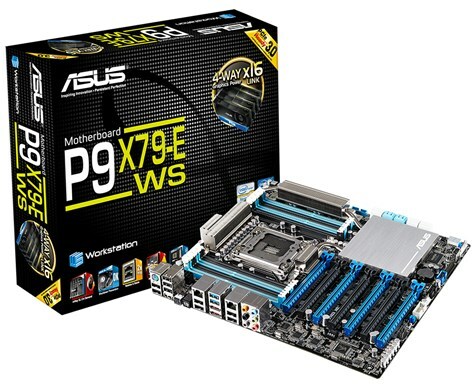 Called P9X79-E WS, it stands apart from most others because it has no fewer than seven PCI Express 3.0 slots. It is more than enough for 4-way NVIDIA SLI or AMD CrossFireX multi-GPU hardware setups. 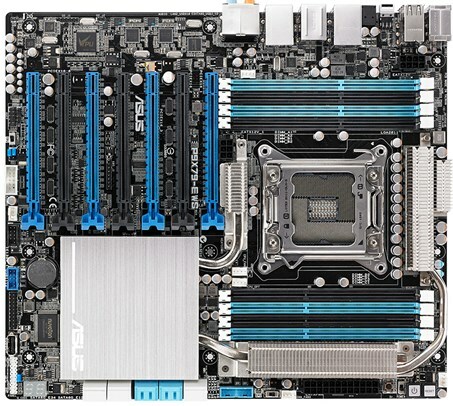 The mainboard also has dual-server grade Ethernet, up to 91% power efficiency, enhanced heat removal and the ASUS Dr. Power technology, which monitors power supply health and notifies users accordingly, thus preventing sudden shutdowns. Onboard LED shows codes for power-related issues too, for when the system fails to boot.